The Pembroke Welsh Corgi was first documented as being used as a farm dog around 1,000 years ago in Wales. As farm dogs, Corgis performed tasks such as herding livestock, hunting and killing rats and other vermin, and sounding alarm for any threats by barking. The Cardigan Welsh Corgi is a close cousin of the Pembroke, but much less common. The main difference between Cardigans and Pembrokes is that Cardigans have tails while Pembrokes do not. Cardigans also have smaller ears but are actually slightly larger than the Pembroke overall. Corgis have medium-length coats that will shed quite often. Their coat is most often tan, fawn, black, red, and can come with or without white markings. Today’s Corgis are mainly just house dogs, but some are still used as herding dogs on farms. Corgis are actually still classified as herding dogs and are the smallest breed in the category. They are active, alert, and outgoing, happy dogs that love people. Despite their small size, they need to stay active and are actually surprisingly good at agility training. Corgis love to be in charge, and can often be stubborn if they are allowed to set their own rules. As long as they are given proper exercise, Corgis are able to adapt to any home environment. On average, the Pembroke Welsh Corgi will live for 12 to 15 years. They are relatively healthy dogs, and many of the issues the breed has a history of developing are non-life threatening. For the most part, Pembroke Welsh Corgis are generally healthy dogs. But like all other breeds of dogs, they are prone to certain health conditions. That doesn’t mean every Corgi will develop any of the health conditions listed below, but their breed has a history of developing them. Whenever you are considering getting a Corgi from a breeder, you should always ask the breeder if your pup’s line has a history of any health conditions. Reputable breeders will typically have their dogs tested and cleared for health conditions before they can be used for breeding. But if you are considering a Corgi, you should be aware of the following potential Corgi health problems. Hip dysplasia in dogs is a health condition common to many breeds of dogs, and often seen in the Corgi. Hip dysplasia is an inherited condition which involves an abnormality in the dog’s hip joint on one or both sides. When a dog has hip dysplasia, their thigh bone will not fit properly into the hip joint. 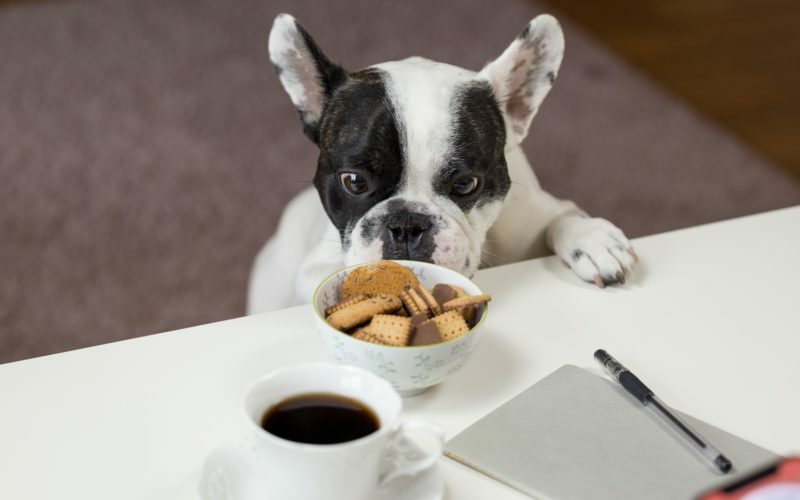 Little is known about how or why exactly the trait is inherited, but there is thought to be a connection involving genetic and environmental factors, such as a dog’s diet and rapid growth. The severity of your dog’s hip dysplasia will only be detectable on an X-Ray. The symptoms are similar to severe canine arthritis, causing your dog to show some discomfort or have difficulty getting around because of lameness in one or both of their rear legs. Other may not display any signs of pain at all. But dogs with hip dysplasia should never be bred. If you’re getting a Corgi from a breeder, you should always make sure to ask if they test their breeding dogs for dysplasia. Dogs should usually be tested with X-Rays when they are around 18 months old. Your breeder should be able to show you documentation that shows their parents have been tested for this condition and have no history of issues with hip dysplasia. However, this doesn’t mean your dog will not develop the condition. Since Corgis are also prone to developing arthritis, hip dysplasia can also develop later in their lives. If the Corgi you are considering is a rescue, you can get him tested for dysplasia by your veterinarian. Your veterinarian can also give you recommended guidelines to follow as far as activity and exercise to help keep your dog’s hips healthy and live longer happier lives. Also in the list of Corgi health issues is a history of developing a few different eye conditions. These include cataracts, progressive retinal atrophy (PRA), and retinal dysplasia. Cataracts – When a Corgi develops canine cataracts, it will cause opacity on the lens of the dog’s eyes, giving their eyes a cloudy appearance and resulting in poor and declining vision. Cataracts usually develop later in life and can sometimes be treated or even removed with surgical procedures to improve their vision. Cataracts are another condition that breeders should test their animals for. Progressive Retinal Atrophy (PRA) – PRA in dogs is actually a grouping of several different eye diseases that contribute to the deterioration of a dog’s retina. When a Corgi develops PRA, they will become night-blind early on, and can also lose their vision during the day as the disease progresses. As long as their surroundings remain the same, most Corgis affected by PRA will adapt to their declining (or loss of) vision and still be able to go through their daily routines. Retinal Dysplasia – This is a condition in which there is some abnormal development in the retina. It is less common in Corgis than the other two conditions, but has still been seen in the breed. With retinal dysplasia, the retina can sometimes detach and cause complete blindness in the animal. Von Willebrand disease is a blood disorder that is found in both dogs and humans. When an animal has Von Willebrands, their blood will not clot as well. The condition is actually similar to hemophilia. When a dog has Von Willebrand, they will often have nosebleeds, bleeding gums, prolonged bleeding after a surgery or during heat cycles, and sometimes even bloody stool. There is a genetic factor for Von Willebrand disease in dogs that veterinarians can test your dog for through a DNA test, which will show if the animal is a carrier or affected by the disease or is genetically clear. Von Willebrand disease is inherited through a simple recessive gene, and affected dogs can usually undergo routine treatment with few side effects. Corgis and other dogs are typically diagnosed with Von Willebrand disease between the age of three to five. The disease can’t be cured, but can be managed with treatments like transfusions, minor surgeries, cauterizing and suturing injuries, and avoiding some specific medications that further thin the blood. Degenerative myelopathy is a progressive disease that occurs in a Corgi’s spinal cord. DM involves a degeneration of the nervous and supportive tissue in the dog’s spinal cord and lower back region. The condition is severe in onset and can cause rear leg weakness, lameness, and even leading to paralysis in the hind limbs. It is often misdiagnosed as a disc disease and currently, there is no cure or treatments available for DM. 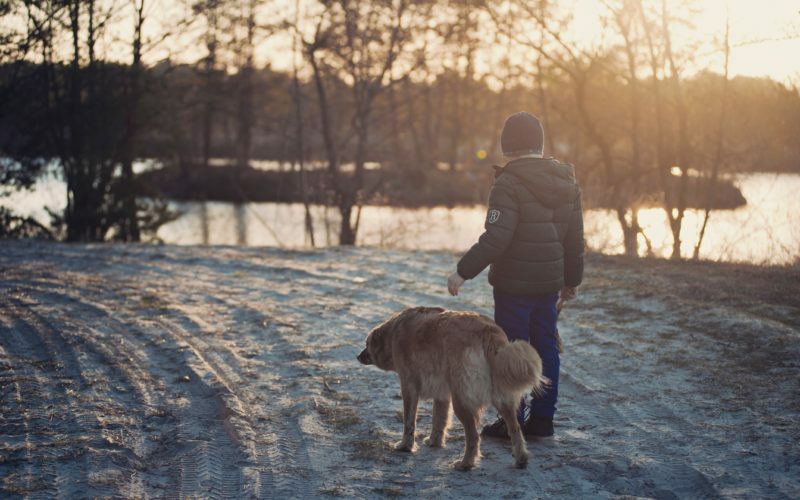 Degenerative myelopathy has genetic and environmental triggers and typically appears late in a dog’s life, after the age of eight. A DNA test was recently developed in the United States that could become more popular with veterinarians. Though new and relatively unproven as of yet, the test could be a useful diagnostic tool to help veterinarians determine whether or not a dog’s tissue has DM or a disc disease. The test shows that there is a gene, that if present, points to an increased risk for the disease. This is another thing you can ask your breeder or veterinarian for when you are considering bringing home a Corgi. Intervertebral disc disease in dogs is a condition that occurs when the discs between the vertebrae bulge or herniate into the dog’s spinal cord space. Corgis are prone to these rupture in a spinal disc because of their long backs. If a Corgi develops this condition, it can manifest as pain, nerve damage, or even canine paralysis in more severe cases. If your Corgi has intervertebral disk disease, they may appear unsteady, have problems going up and down stairs or hopping onto furniture, completely refusing to jump at all, difficult walking in general, or even weak, incontinent, or refusing to eat. This is a serious condition that should be treated right away before it can cause further damage. Corgis are more prone to sudden herniation of the disk, but it is definitely something to watch out for. Another alarming Corgi health problem is canine epilepsy. This is a neurological condition that is typically inherited, but not always. When a dog has epilepsy, they will have mild or severe seizures that can be frightening to witness and may appear in many different ways. A dog having a seizure may frantically run around as if they are being chased, stagger around as if drunk, fall down and become rigid, hide, and sometimes even lose consciousness. Generally, the long-term prognosis for dogs with epilepsy is good, but it is not a condition to ignore. Take your dog to the veterinarian immediately for proper diagnosis if you suspect your Corgi has had a seizure. They can help determine if your dog has inherited the epilepsy, or if there is an environmental trigger. Perhaps the most common Corgi health issue is their tendency to become obese. Due to their dwarf frames with long bodies and tiny legs, gaining extra weight can be extremely difficult for Corgis to deal with and can lead to a variety of other health problems. Corgis will always want more food, but it is important to keep them on a routine, healthy diet to ensure they don’t gain excess weight. It is very easy for a Corgi to gain weight, and it should be closely monitored. A pound or two may not seem like much, but it is actually a huge difference when you consider their total weight. If you have a 22-pound Corgi that gains two pounds to 24, that is actually nine percent gain in their total weight. Don’t let your Corgis expressive eyes and convincing begging convince you that they are hungry. They just love food. If your Corgi is prone to gaining weight, talk with your veterinarian to come up with a more healthy diet and routine exercise to keep your Corgi healthy and live a longer life. When a dog has cutaneous asthenia, connective tissue in its skin becomes stretchy, fragile, and loose, and thus is defective. Dogs with cutaneous asthenia may also have excessive bruising or blood blisters because of the condition’s effect on their blood vessels. This condition is also known as Ehlers-Danlos syndrome, dominant collagen dysplasia, or dermatosparaxis. Cystinuria is a Corgi health issue that causes high levels of a protein called cystine to be excreted into the dog’s urine. This may cause stones to form, which can be very painful for the dog to pass and can even lead to other health issues. Cystinuria typically only affects male dogs. This congenital defect of a dog’s vascular system allows for unoxygenated blood to bypass the lungs. The condition can also come along with pulmonary hypertension, which is high blood pressure within the lungs. PDA is usually detected in Corgi puppies during a veterinary examination and can be surgically corrected if found. Anyone considering getting a Corgi should ask their breeder, or get their rescue tested at the veterinarian, for a history of any of these health conditions. It is important to keep in mind that while tests may come back all clear, that doesn’t mean your dog can’t develop any one of these Corgi health problems later in life, but overall, they are generally healthy and happy dogs. “Pembroke Welsh Corgi.” PetMD, Accessed 16 Jan. 2018. www.petmd.com/dog/breeds/c_dg_pembroke_welsh_corgi. Cozzens, Barbara. “Genetic Problems with the Welsh Corgi.” Pets, 21 Nov. 2017, Accessed 16 Jan. 2018. www.pets.thenest.com/genetic-problems-welsh-corgi-5720.html. “Genetics & Health Issues.” Pembroke Welsh Corgi Club of America, Accessed 16 Jan. 2018. www.pwcca.org/about-pembrokes/breeding-genetics/. Welsh Corgi (Cardigan). Dog Breed Health, Accessed 16 Jan. 2018. www.dogbreedhealth.com/welsh-corgi-cardigan/. Rotholtz, Montreux. “4 Common Corgi Health Problems and How to Help.” Rover, 17 Nov. 2018, Accessed 16 Jan. 2018. www.rover.com/blog/4-common-corgi-health-problems-and-how-to-help/.